St. Martin's Griffin, 9780312383053, 320pp. The year is 1943 and World War II in the Pacific rages on, with Americans engaged in desperate battles against a cunning enemy. Coast Guard Captain Josh Thurlow is on hand at the invasion of Tarawa, as the United States Navy begins throwing her Marines at island after bloody island across the Pacific. But nothing goes as planned, and young Americans go up against fanatical defenders. As blood colors the waters around Tarawa, Josh flounders ashore through a floating graveyard of dead men and joins the survivors. Critically wounded, Josh expects to die. Instead, Sister Mary Kathleen, a pretty Irish nun, nurses him back to health, then shanghais Josh, sidekick Bosun Ready O'Neal, and three American Marines to a group of tropical islands invaded by a brutal Japanese warlord. Josh and his little band must decide whether to help the Sister ?ght the battle she demands, return to Tarawa and the "real" war, or settle down in the romantic splendor of the South Seas. 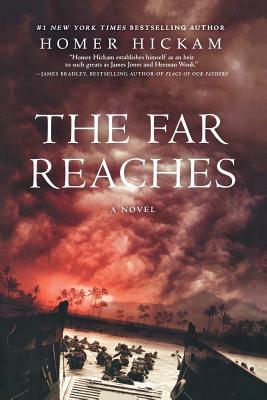 With an incredible eye for historical detail, edge-of-your-seat writing, and the talent of a master storyteller, Homer Hickam delivers another page-turning tour de force. When he's not writing bestsellers such as Rocket Boys/October Sky, Back to the Moon, The Coalwood Way, and The Keeper's Son, Homer Hickam goes dinosaur hunting in the ranchlands and badlands of Montana. His important finds include two Tyrannosaurus Rexes and numerous other creatures of the Cretaceous Period.